Some copies of the Memory Book are still available. If you don't have a copy, order yours now. 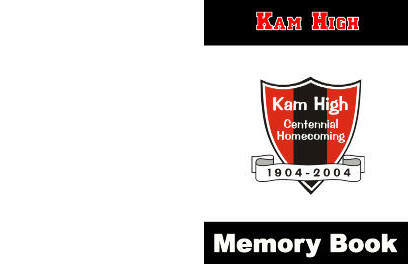 Memory books are available at $25 per copy including taxes and delivery. Page through the sample copy below to see the contents of the book. If you're registered in our database, you may order on line by completing the following information. Payment may be made by cheque to the above address or via PayPal.